We use your favorites as a starting point, but don't worry if you can't find the perfect piece on our web site. Show us your ideas or sketches and we'll go from there! We've designed and created over 20,000 custom pieces so far, so we have lots of ideas not on the site. We work with your via our industry leading online design system as well as phone, email or live chat to ensure that we are in sync on all details of your design. Need a gemstone? Let us help you select the perfect one. We'll need your ring size to create a perfect design and an accurate estimate. If you are near Seattle, come on in. If not, for most rings you can stop into a local jewelry store and be measured or let us send you sizing rings to borrow. Some rings (such as titanium bands, eternity bands and others with stones and/or patterns set all the way around the ring) need you to wear a sizing ring for about a week to ensure the sizing is perfect. You can approximate your (or her) ring size with this Sizing chart. Timely, interactive information, ideas, estimates and design assistance from a jewelry artist… not just a a salesperson. Effortless communication via you own, Personal Online Design Page, phone, email or chat. Regular updates with pictures to follow the progress of your design. 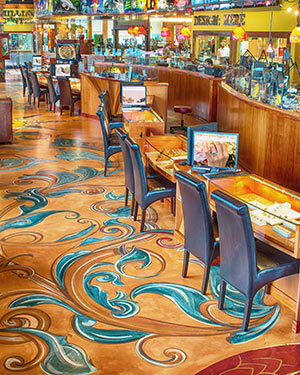 A unique and fun experience… Our goal is to hear a “WOW!” when we present your custom design. Expertise from Artist with hundreds of years of combined experience. Education on various metals if requested. Stone selection and advice to fit both your desires and budget. An accurate estimate of the completed project cost. View In Stock Signature Originals Gallery - Ready for you to personalize!